I've lived in Wednesbury for ten years and didn't realise we had a museum & art gallery, so on a nice sunny day I had a stroll up there and I wasn't disappointed. 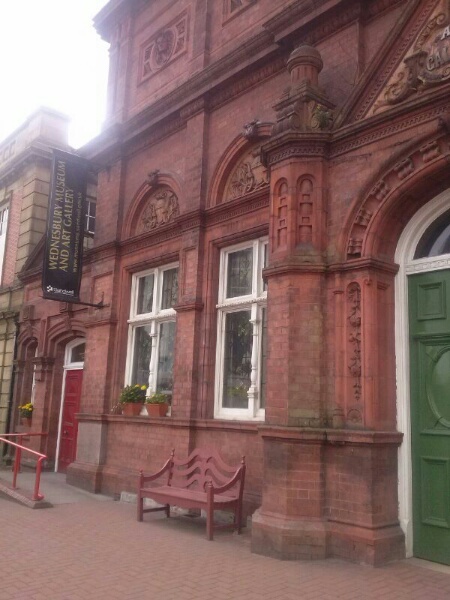 The gallery is on Holyhead Road, (opposite Morrisons) it was built in 1890-1891 to house a collection of paintings donated by a Wednesbury man. He wanted them to go there when he died. A lot of his paintings are by contemporary English artists, but there are also paintings by others. 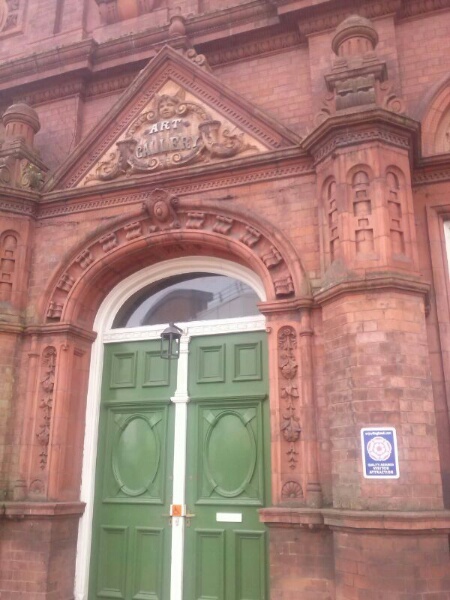 When you first walk in, there is a display of pottery from a Smethwick factory, too. From about 1920s onwards, they look in great condition. You wouldn't guess they were about 90 years old. And there is also work on display by children from a local school and in the museum part, there is a fascinating display of toys throughout the years. Starting from 1901, up to the latest gadgets children play with today. It's definitely worth a visit, entry is free, so you can keep your kids occupied for nothing (and there aren't many places that do that nowadays), especially if the weather is a bit too 'British summertime'. Take them along, and when you get home, ask them to draw their favourite item from the museum. There's not much free entertainment around these days, so why not take advantage.